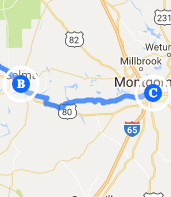 Trip Log – Day 385 – Selma AL to Montgomery AL | How Will We Live Tomorrow? 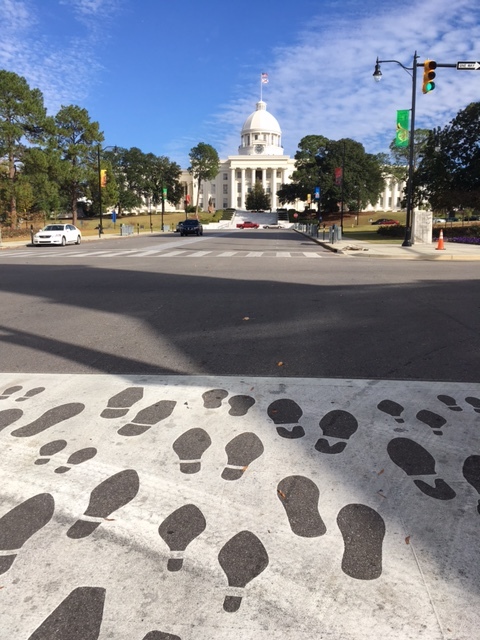 In 1964, on the steps of the Alabama State Capital, where segregationist George Wallace served as governor, four months before President Johnson signed the Voting Rights Act, Martin Luther King Jr. made a speech at the close of the five day march from Selma to Montgomery. He paraphrased Unitarian Theodore Parker in a quote now largely attributed to MLK. I never heard it until I began this trip, but it has become my mantra, my lens, for understanding what I hear and see across our country. We do not always move forward, all of our strides are not in the optimal direction, but over time, we move toward equality, towards peace, towards love. 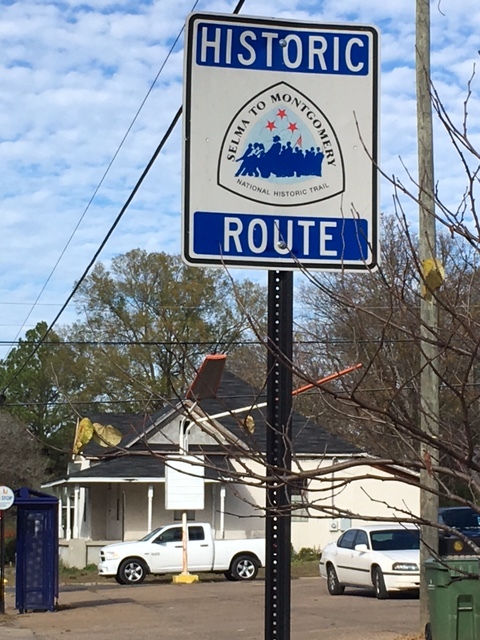 As I pedaled today my legs empathized with the effort of the marchers demanding their right to vote. But I my mind also pondered the White Supremacists. Surely they knew, in their hearts, their case was unjust. We are all victims of our perspective. The more our perspective is tainted by power, and fear, the more distorted it becomes. Segregationists did not construe their actions as hate; they couched their bigotry as heritage, as honor. But maiming unarmed people and denying citizens basic rights moves beyond the bounds of tolerance. It is wrong. 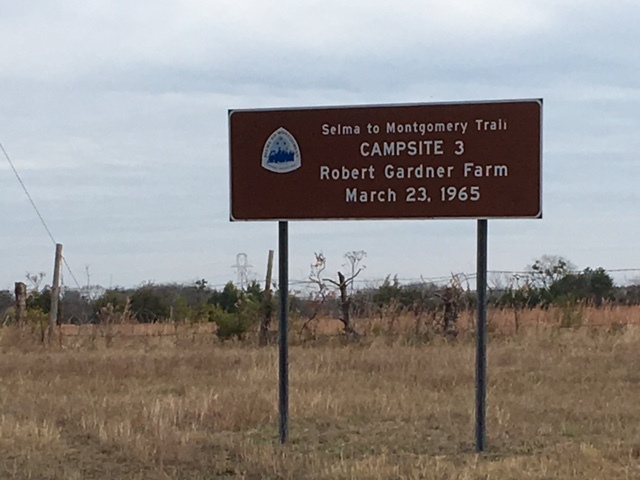 The march from Selma to Montgomery would not have taken place if the eyes of the wider nation had not peered into Selma’s soul and found it rotten. But the rest of us have no cause to be snug. We did not respond in horror when a Black man was killed; we only acted after inhuman violence flooded out living room TV’s and a White minister was murdered. Circumstances that propel us towards justice are not as pure as we pretend. Still we make progress. The progress is slower than my legs can pedal. It is slower than thousands of protestors can walk. But it is progress nonetheless. 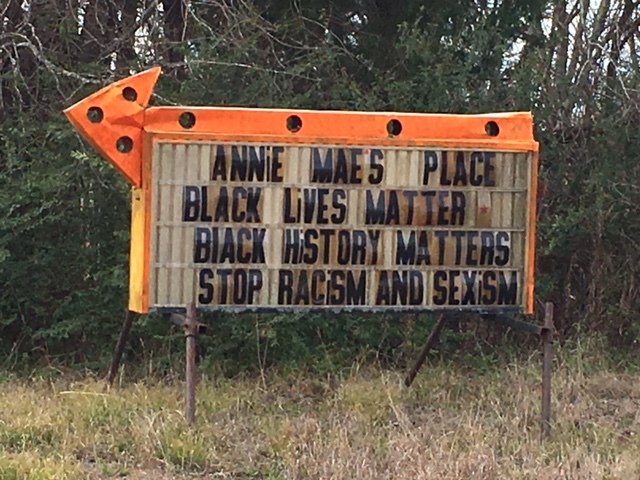 This entry was posted in Uncategorized and tagged March from Selma to Montgomery, Martin Luther King, MLK, Montgomery AL, Selma AL. Bookmark the permalink. Our Unitarian Minister in Ithaca NY, Jack Taylor was on that march. He told the story of eating dinner with his friend James Reeb, after dinner they headed in the opposite directions. It was a chilling and moving story to think what might have been. Thanks for sharing that story – our lives are so changed by simple decisions. Hope all is well with you and your family.